After the Great Depression, designers “cleaned up” Art Déco. Pure lines suggesting motion and speed upstaged embellishments in architecture. The new style was known as Streamline Moderne, which perfectly defines Smeralda. 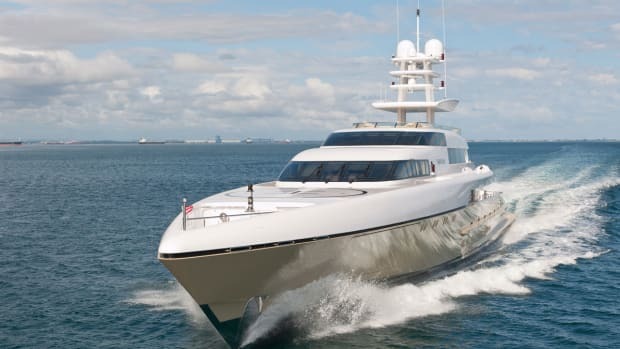 A few years ago, a slender yacht made the cover of Yachts International. We called her A Slice of Silver. Smeralda is her big sister. 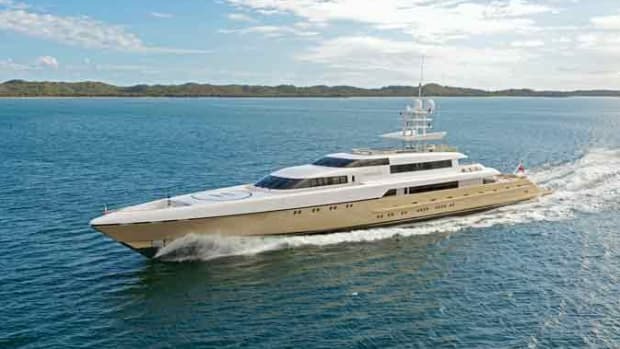 Like Silver (now called Rabdan) and the subsequently launched Silver Zwei (now Dragonfly), Smeralda hails from Hanseatic Marine in Henderson, Western Australia.